Homemakin and Decoratin: I'm in love with this living room! 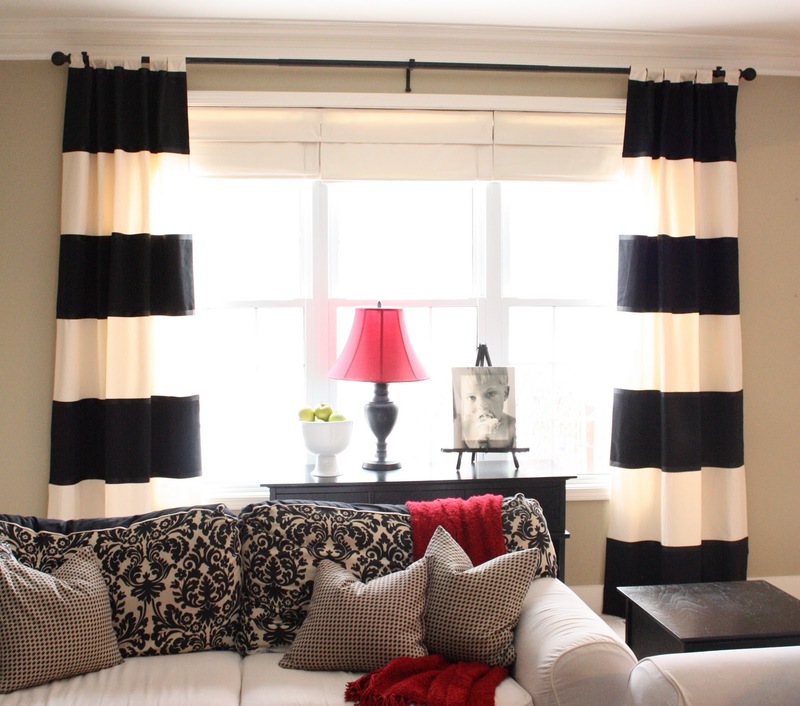 The Yellow Cape Cod shares about her striped curtains, and I have completely fallen in love with them and EVERYTHING ELSE in her living room! It all looks so beautiful! My mom has curtains coming for me in the mail. There are white panels for our living room and I just might try this! We don't really have any sure colors going through our apartment yet, but I just might make these colors work!